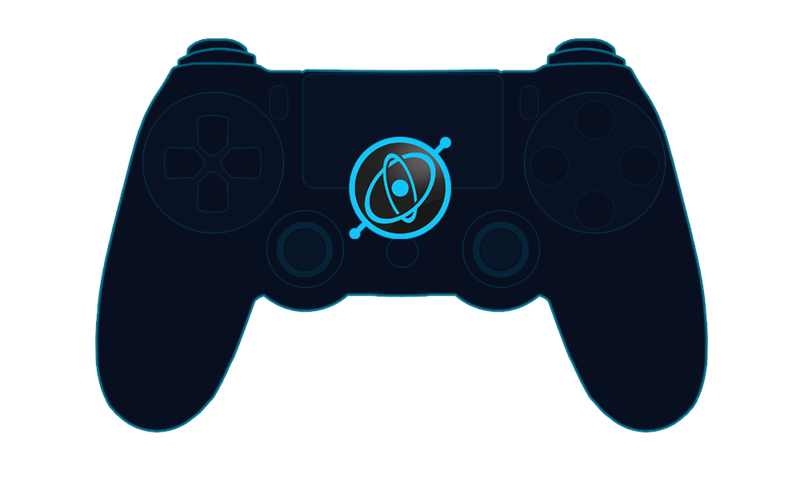 The Playstation 4 Controller*, originally designed for Sony's PlayStation 4, was the first 3rd-party device to get official Steam Input support. It shares certain features with the Steam Controller that are lacking in the XInput standard (touchpad & gyroscope), while hewing to a more traditional twin-stick form factor that some players prefer. 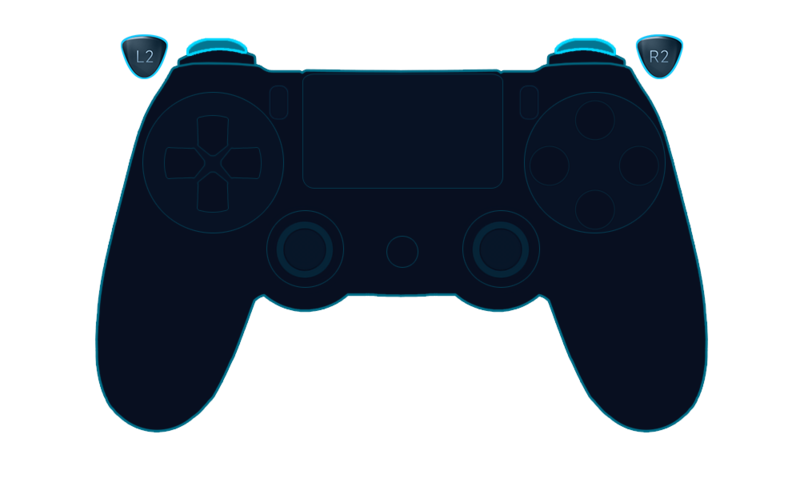 The Playstation 4 Controller features four standard face buttons labeled with a SQUARE, a CROSS, a TRIANGLE, and a CIRCLE. 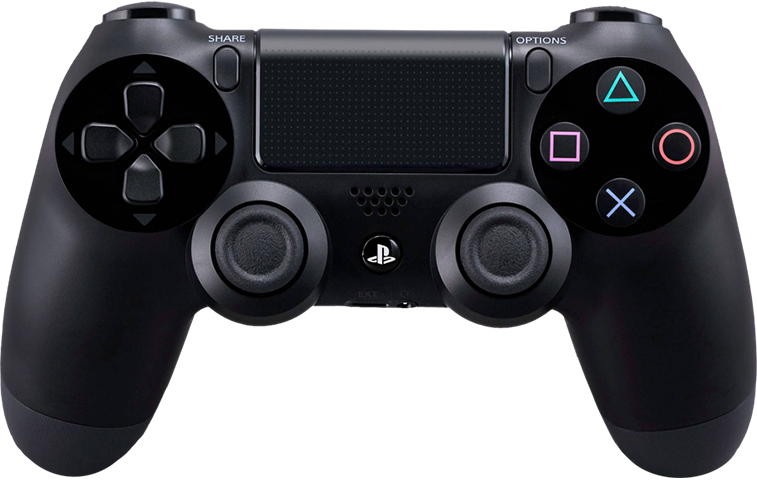 Like most other gamepads, the Playstation 4 Controller features two analog joysticks, on the left and right side. Unlike other controllers, they are not vertically offset. Like most modern joysticks, the sticks themselves can be clicked in as additional digital buttons. The SHARE and OPTIONS buttons are on either side of the central touchpad. 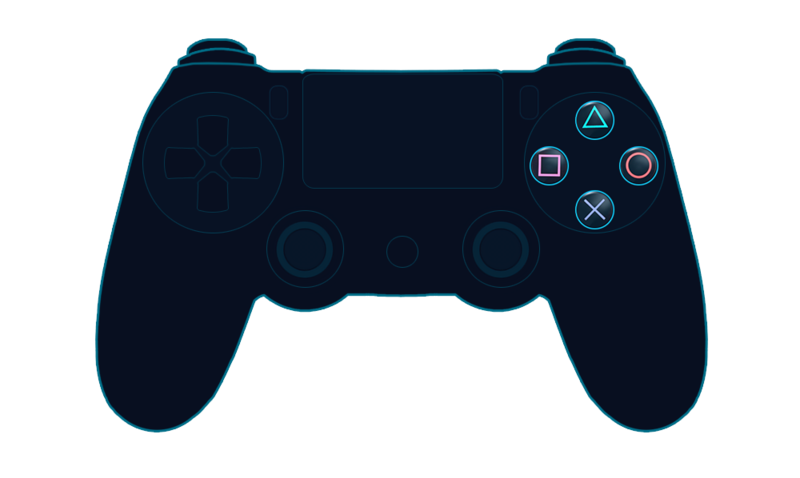 Although the SHARE button is reserved on the PS4 console, it is not on the PC when using the Steam Input Configurator. Both buttons can be freely used by games & applications. NOTE: SHARE and OPTIONS correspond to SELECT and START on previous PlayStation Controller models. The shoulder buttons are pretty standard. 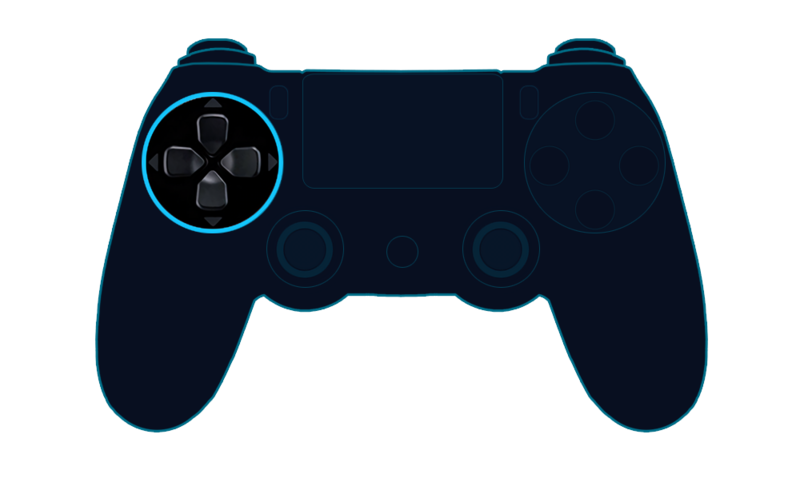 Unlike the Steam Controller, the L2 and R2 analog triggers on the DS4 Controller do not have a distinct digital "click" at the end of the normal analog range distinguishing a "full pull" from a "soft pull". From a hardware perspective they are purely analog input devices. However, the Steam Input Configurator is able to fix this; the player may set a threshold that distinguishes a "full pull" from a "soft pull." 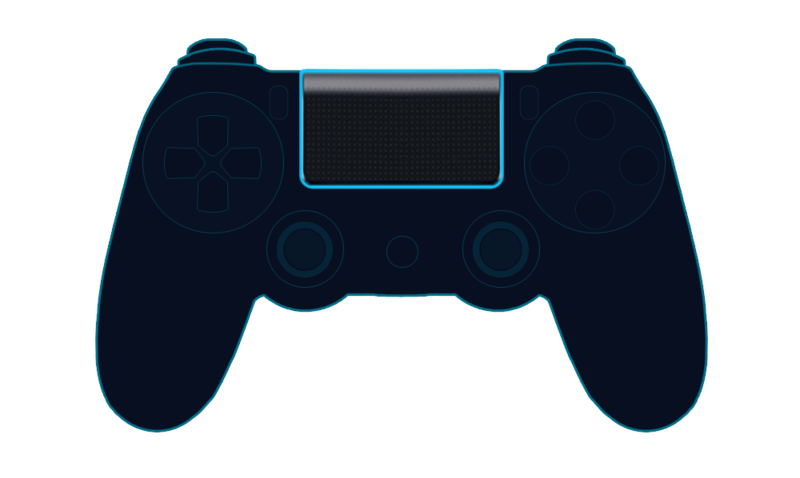 The Playstation 4 Controller features a fairly standard digital pad, or DPAD. Physically this counts as four separate digital buttons, but with a physical feature that makes it impossible to press both buttons on the same axis at the same time. 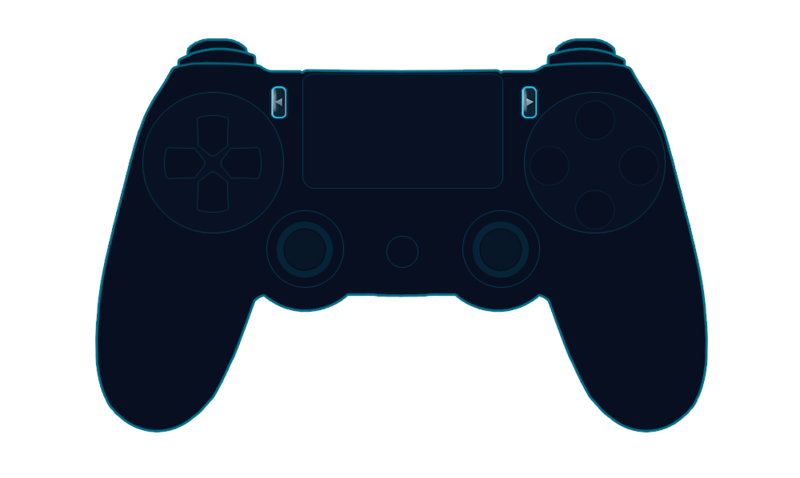 The Playstation 4 Controller features a single large rectangular (non-haptic) touchpad on the top of the device. It has a high resolution touch surface as well as digital click functionality. 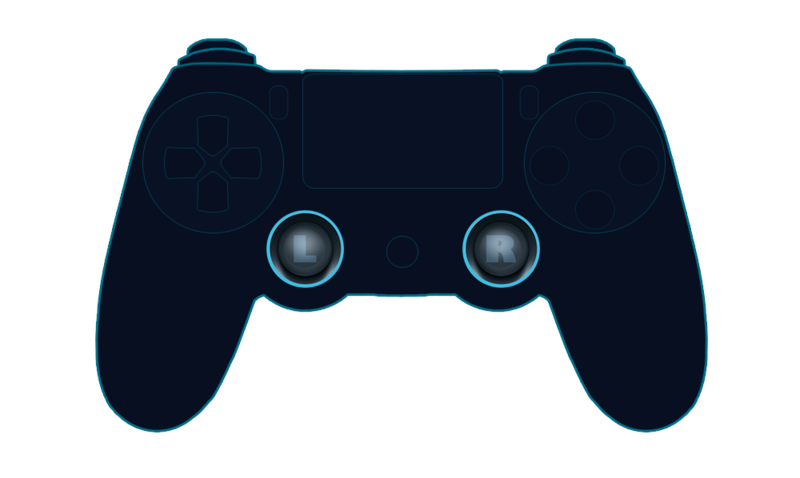 The Steam Input Configurator is able to treat this as either two separate touch regions (dividing it into left and right halves), or as one large unified touch surface. Any of these configurations can be used in the same way as the Steam Controller's touchpads, with the exception of haptic feedback. 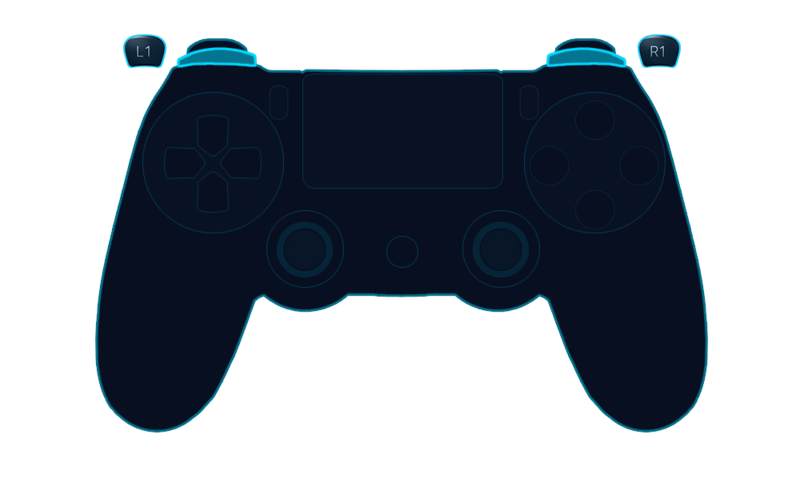 Like the Steam Controller, the Playstation 4 Controller also has a built-in gyro sensor with similar functionality, and likewise has 3 axes of motion (pitch, yaw, and roll).